Are you passionate about scuba diving? Then share the fun and you might have a new dive buddy soon! 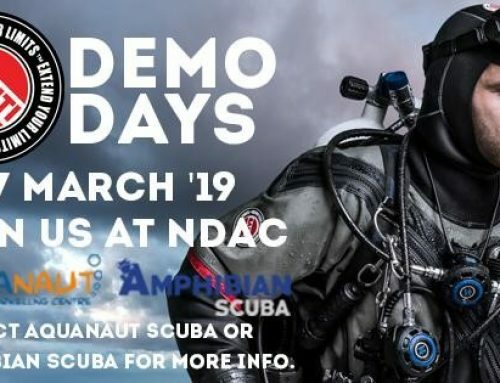 Bring your friends and family to Aquanaut Scuba to experience the incredible underwater world during the PADI Discover Scuba Diving 2015 event! Where: The Wednesday sessions will be at New Malden Leisure Centre, the Friday at Putney Leisure Centre. So, whether your loved ones are interested in marine life, shipwrecks, photography or just the sheer tranquility of scuba diving, the adventure will capture their lifetime’s imagination. By taking part in the Discover Scuba Diving 2015 event they will be able to join you as part of the global PADI community and start their own journey to explore what really lies beneath the waves. All you need to bring is your swimwear and a sense of adventure! What are you waiting for? Call us now to book one of the limited spaces for this great opportunity!